Google Ads is on a cost per click (or CPC) basis, meaning advertisers pay when users click their ads. The average CPC is approximately $2.00. However, CPCs range from $0.20 to $30+. Advertisers set a maximum daily budget to limit their clicks. Small businesses’ ad spend average around $500 to $3,000 per month. Many businesses choose to outsource their Google advertising to increase their return on dollars spent and save more money. Hibu, for example, is a top PPC management company that professionally manages Google Adwords accounts within any budget. Check them out today for more information and start saving on your PPC campaign. The average cost per click with Google Ads is $1 to $2. However, CPCs can vary greatly, from as little as pennies per click to over $50 per click. 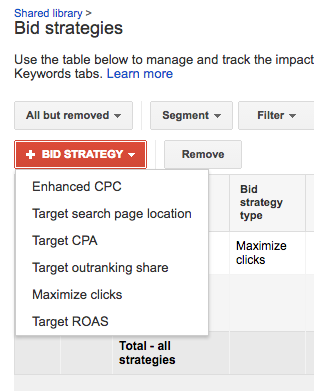 For specific CPC estimates, use Google’s Keyword Planner Tool and the Bid Simulator. These will help give you a good idea of how much your costs per click will be, along with search volume data to provide helpful insights into potential PPC advertising performance. For example, a multidisciplinary law firm based in Minneapolis is looking into costs for advertising on Google. 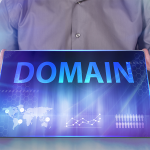 They begin by searching common terms covering different service areas of their business. They find that costs vary greatly from as little as $2 per click to over $50. Using this information, they can have a realistic idea of how far their monthly ad spend can go, or they can choose to be more strategic and use Google Ads only for lower cost keywords. To find industry averages and benchmarks, we looked to Wordstream, which compiles data from over 2,000 Google pay-per-click accounts. These figures can be used to better estimate your Google advertising costs by looking at costs and benchmarks within your industry. Google’s Keyword Planner Tool is an easy way to find average suggested bids for keywords of your choice. The tool also shows search volume by keyword to show you how popular that keyword is (aka how much competition it has). The average CPC on the Google network provided by Wordstream’s data is $2.69. Wordstream’s CPCs are often $1 to $2 lower than the suggested bid from Google because most businesses actually use very specific search terms, yielding fewer competing bidders and thus lower CPCs. The average CPCs above reflect search terms used for the entire United States. It’s important to note that CPCs can range greatly based on the location of where the ad shows up. For example, large cities tend to have more competition for keywords, resulting in higher CPCs compared to those same keywords in smaller cities or towns. Google AdWords is based on keyword bids. However, the bid alone won’t land your ad at the sought-after top of the first-page search results. Costs depend on a number of factors, but ultimately, Google determines cost on market competition (i.e., how many others are competing for the same keyword) and what is called your quality score. Quality score is indicated by your keyword relevance, click-through rate, landing page quality, and overall account performance. This helps explain why competing businesses will often have different costs per click on the same search term. Understanding the factors that impact your CPCs will allow you to create better ads and see better performance. Advertisers are all vying for the coveted top of first-page ad positions. How your ads rank in comparison to those competing for the same keywords, and even your cost per click, comes down to your ad’s quality score. Google scores advertisers from 1 – 10, with 10 being 100 percent. As you can see in the table below, the higher your quality score, the higher your ad ranks, and also the lower your cost per click. Keywords tell Google which search queries you want your ads to show for. There are three main factors to consider when choosing keywords: their length or specificity (aka long- vs short-tail), keyword match types, and negative keywords. Each of these will generate differing CPCs. If you’re not sure where to begin researching keywords, you can find a Google AdWords expert on Fiverr for as little as $5 to perform your keyword research for you. Keywords can be used in two main ways: short-tail and long-tail in regards to the length or specificity of your keywords (or search terms) used. Short-tail keywords have a higher search volume because they’re very broad, so they have higher competition, causing higher CPCs. Long-tail keywords are more targeted, meaning they have less competition and generally lower CPCS. There are four keyword match types: broad match, broad match modifier, phrase match, and exact match. Each match type tells Google how intuitive to be when determining if your keywords match a user’s search terms. The vaguer the match type is, the more opportunities it has to be a search result. This also means more competition, and increased competition increases CPCs. For example, let’s say a dental practice in Buffalo is advertising on Google. They are considering whether they want to get high volume (quantity) or high targeting (quality). Looking at the same keyword, “best dentists in Buffalo,” the table below explains when their ad may display based on keyword match types used, as well as the level of competition and average CPCs by match type. Negative keywords tell Google when you don’t want your ad to appear. It’s very important to use negative keywords to avoid wasting your ad spend on bad clicks. Also, it can hurt your account’s performance data when users see your ad but don’t click on it, as it signals to Google that your ad isn’t very good. Based on a low click-through rate, Google may show your ad less often even on other search terms that your ad may be a high-quality result for. Ad placement is where your ads will be located. Unlike ad rank, which is where on Google search results your ad appears, ad placement includes which network you choose for your ad to display on, device types, and location targeting. Each of these options will influence the placement, competition level, and cost of your clicks. The network is where your ads are eligible to show. Under campaign settings, you have the option to choose to display your ad on the Google Search Network only or Google Search Network with search partners. Google network means ads will display in Google searches. Search partners means your ad may display in searches outside of Google on sites such as Ask.com, AOL, and EarthLink. Typically, including search partners will cost less. Ads can display on three device types: desktop, mobile devices with full browsers, and tablets with full browsers. Many businesses find that certain devices perform better than others and each device type will vary in cost for the same search terms. Typically, desktops are the most expensive and tablets are the least. Location targeting tells Google where your ads should be shown. By choosing exact cities or setting ads to show within a certain radius, you can provide a better search result for users, leading to higher click-through rates, more conversions, and less wasted ad spend. Tailor ads by location and adjust bids based on the performance by location. Account settings such as bid strategies and ad schedules provide Google with further information on when to display your ad and at what cost. Bid strategies give you the option to bid different ways. You can manually set a maximum bid per keyword or allow Google to automatically adjust your bid based on competition. Ad schedules let you determine when your ad is shown. For example, let’s say you run a hair salon and run ads with the goal of getting calls to make appointments. You would want to set your ads to display during your business hours to ensure that if users call, someone will be there to answer, avoiding wasted ad spend on unanswered clicks. General competition among each of the above factors impacts advertising costs. Google doesn’t necessarily place ads on top of search results for the highest bidder, but it is a system based on bidding, so the more bidders there are, the higher the costs will generally be. Quality score ultimately what influences your ad placement and costs. Quality score is how Google determines your quality and relevance using factors such as ad quality, landing page experience, and your click-through rate. All of these factors tell Google whether your ad is likely to be a good search result for users. Building your quality score is important, as those with high-quality scores will have higher ad placement at a lower cost. Advertisers have full control over how much they spend on Google Ads. Advertisers not only choose how much they want to spend per day on Google Ads, but they can also set which days of the week and times of day the ad spend can be used (i.e., ad schedule and budget delivery method) and how much budget is allocated to specific campaigns. Advertisers can update budgets as they choose. Ad spend is determined by the availability of your advertising budget and how aggressively you want to use Google Ads. Monthly ad spend can be as little as $10 to over $10,000. New advertisers are advised to start at the low end of their budget. It usually takes around 90 days for new accounts to discover their most effective search terms, bid strategies and account settings, allowing them to cut any potentially wasted ad spend before increasing their budget. In order for your ads to display, your keyword bids will need to be competitive. How aggressively advertisers bid on keywords determines the quality of the real estate their ad gets, meaning does the ad rank on the top of the first-page search results or is it at the bottom of the first page or top of the second page? Consider how important that keyword is to your business when choosing how high you want to bid on that keyword. Get an idea of how much your keywords will cost by using the Keyword Planner tool. Input your keywords and the locations where you want your ad to display to get CPC estimates. For example, based on the suggested bid for keywords related to professional photography, a photographer in Nashville should bid between $1.5 and $2.50 on their keywords. To decide whether or not to increase or decrease your keyword bids, consider how valuable that keyword is to you and how important higher ad rank is worth to you. As a general rule of thumb, decrease bids on keywords that yield few conversions. These are typically those in the early buyer’s stage, such as awareness. Increase bids on keywords that yield a high number of conversions, which are usually those more qualified users in the purchase stage. Not interested in adjusting keyword bids and are confident you want to always rank for those keywords? There are currently six different keyword bid strategies, and the enhanced CPC bid strategy will automatically adjust your bids so that your bid is competitive enough to rank in search results. Prospective and new AdWords users can easily estimate the return on ad spend by using CPC data from the Google Keyword Planner Tool, knowing the conversion rate from industry benchmarks provided by Wordstream, establishing your projected monthly ad spend, and understanding your customer’s lifetime value. Existing AdWords users can calculate their ROAS using the same factors, but with figures from their account. Customer Lifetime Value (CLTV) – What is the average the total value of each new customer? You can easily calculate your return on ad spend in four simple steps. For example, let’s say your business has an average CPC of $2, a monthly ad spend of $1,000, an average conversion rate of 5 percent and a customer lifetime value of $100. Example: $2,500 minus $1,000 = $1,500 return on ad spend per month (or $18,000 per year). Every business will see varying returns and ad performance. 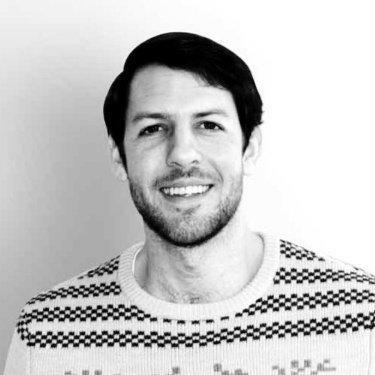 Understanding your return on ad spend is key to determining your true ad performance. Get more detailed information about calculating return on ad spend and how to measure ad spend in our article Return on Advertising Spend (ROAS). There are a number of ways to reduce Google AdWords costs that can actually help to not only reduce your CPCs but also maximize your ad spend and yield a higher return on ad spend. Every factor influencing the cost per click also provides opportunities to reduce your CPC when you understand them. The first step to reducing your cost per click is to visit your keywords. The more specific a keyword is, typically the less expensive it will be. For example “best restaurants in Dallas” will be more expensive than “best Italian restaurants in Dallas.” More specific keywords will have lower CPCs as they have less competition, and also provide users with better search results landing you more business. Negative keywords are those that may be similar to keywords you use but are ones that you do not want your ad to appear as a search result for. Every AdWords account should use negative keywords to help reduce CPCs, as ads will display on more relevant search terms and ad spend won’t be wasted on irrelevant (aka bad) clicks. For example, a high-end Italian restaurant in Dallas would want to use negative keywords outside of their offerings or target audience. Potential negative keywords could be cheap, fast food, drive-thru, Chinese, Japanese, sushi, Mexican, buffet, jobs, hiring, etc. Now, when a user searches “best restaurants in Dallas for sushi,” your ad for your Italian restaurant won’t appear for the “best restaurants in Dallas” search term. Keyword match types are how Google determines when to show your ad when users search Google using relevant search terms. There are four match types: broad match, broad match modifier, phrase match, and exact match. 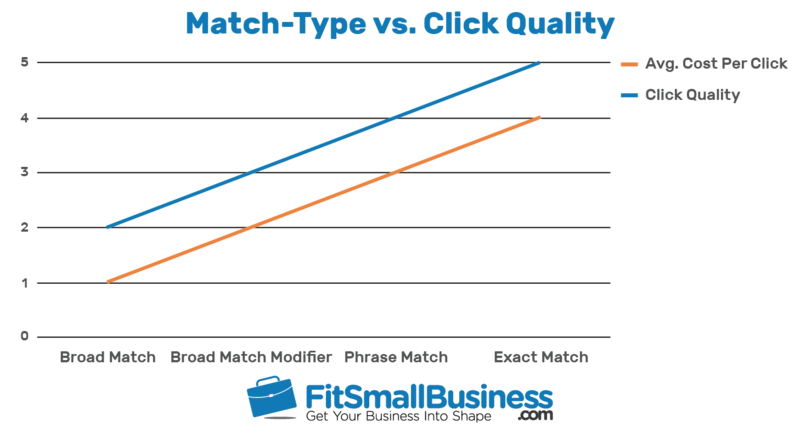 Match types yield varying CPCs based on the quality of results they provide, so the more general the match type, the lower the price and lower click quality. Consider keyword match type carefully when looking to reduce your AdWords costs. Choosing the least expensive match type does not always prove cost-effective, as more quality (and costly) match types often perform better and increase your return on ad spend. Google allows you to adjust your bid by device type, meaning you can decide if certain devices are worth more or less to you. The three device types you can adjust your bid by are desktop, mobile devices with full browsers, and tablets with full browsers. The device type that works best for your business will depend on your business and what device users are typically using when searching for your sort of business. To consider the value of the clicks by device type, start by collecting performance data over at least 90 days, then analyze average CPC, click-through rate and conversion rate by device type. If you find one device outperforms or underperforms other devices, then adjust bids on that device accordingly. For example, increase the bid by 20 percent on devices that yield 20 percent more conversion and decrease bids by 50 percent that yield 50 percent fewer conversions. Google AdWords has sophisticated location targeting options, meaning you can choose precisely where your ads will show. Brick-and-mortar businesses will want to at least set their ads to show only within the towns they serve, but it may be wise to use radius targeting so your ad shows to users within a radius customers actually travel from. For example, a computer repair store in rural Minnesota may have customers traveling from up to 30 miles away, whereas, in cities like Los Angeles and NYC, customers may not travel more than three miles. Your location targeting should reflect the area and distance your customers travel to visit you. Narrowing your radius provides higher-quality clicks, increasing your return on ad spend. Bid strategies are the different ways you can bid on your keywords. There are five different bid strategies, each with varying pros, cons, and, of course, costs. Every business will benefit from different strategies based on their PPC goals, but generally, it also comes down to the level of control you want to have over your maximum bids and CPCs. Most AdWords users will be looking at manual CPC and enhanced CPC bid strategies. The difference between the two is that with manual, your CPCs cannot go above your maximum keyword bid, whereas enhanced will automatically adjust your bid to maintain competitiveness. Quality scores are the ultimate way of decreasing costs and increasing performance. They’re a combination of click-through rate, ad quality, landing page experience, and conversion rate—all indicating to Google how good you are as a search result. Use really specific keywords within targeted locations to increase your click-through rate, as your ads will be very good search results. Also, make sure your ad copy is really good and speaks to the user. One way to get more clicks is to give users an incentive to click your ad. For example, a cosmetic dentist could offer free teeth whitening to attract new clients. Yext Traffic Booster is a PPC tool that automatically adjusts keyword bids and matches keywords and ads to the most relevant pages on your website. These real-time optimizations help to lower your cost per click by increasing your quality score through search relevance and user experience. Remember the lower your CPCs, the farther your ad spend goes, driving more traffic and boosting your sales. Companies that use professional PPC management services are likely paying an additional 20 percent to 30 percent of their ad spend on management fees. 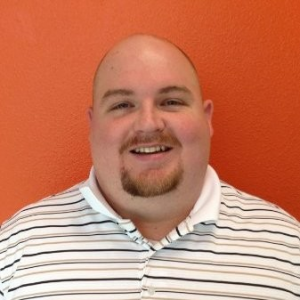 A good PPC management company can justify their fees as they can help get you better results. However, if you’re looking to cut costs without sacrificing professional management, Hibu is your answer. Hibu is a professional PPC management service that has no management fees (or setup fees). Are There Other Ways to Boost Website Traffic? 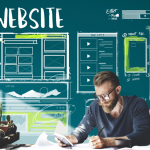 Yes, paid search isn’t the only way to build traffic to your website. Another way is through Yext, a platform for managing your business listings across 100+ providers. Business listings play an integral role in gaining visibility and maintaining a positive brand image, so any business would benefit from Yext services on top of AdWords. How Do Google Ads Really Work? Google Ads gives businesses of all sizes the opportunity to rank highly on Google search results. We have written an article on How to Advertise on Google and Boost Your Small Business you can refer to for additional tips and strategies. How Do I Create an Ad on Google? To start creating ads on Google, you will need to first have a Google Ads account. From there, you will have the opportunity to begin building campaigns, which is where you create ads and manage all settings from location targeting to device types. Typically users see lower CPCs with Facebook Ads. Keep in mind that users on Facebook aren’t actively searching for you like they are on Google, so the click quality should be compared on top of cost per click. See Facebook Advertising Costs by Industry to compare. Where Can I Find the Best PPC Management Company? PPC Management companies can help create compelling ads and help you measure and monitor your ad’s performance. We’ve made it easy and have done the research for you. Here are the 6 Best PPC Advertising Firms for 2018. 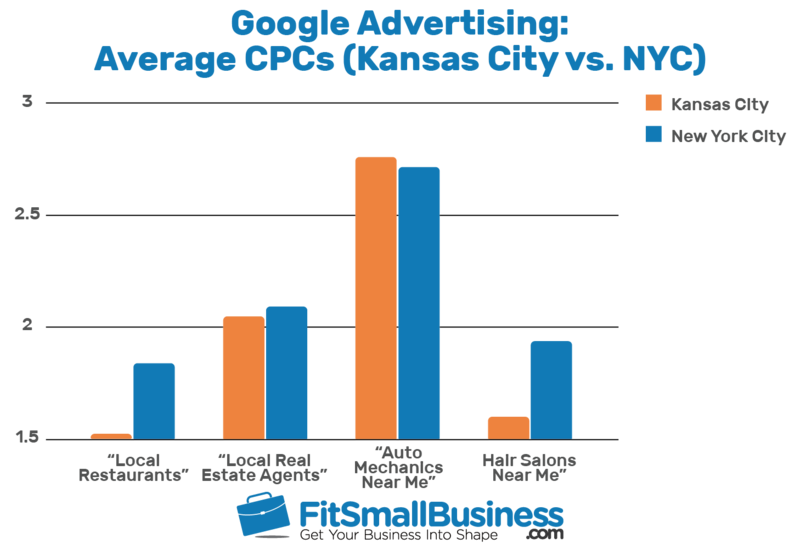 Google advertising costs vary greatly from business to business. 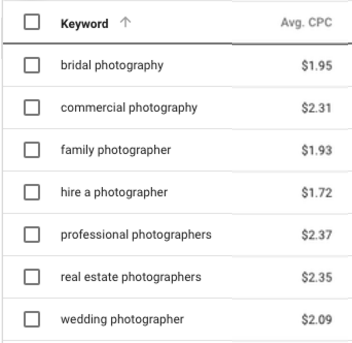 Average figures, industry benchmarks, and Google’s Keyword Planner Tool can give you insights into potential advertising costs. Businesses that fall into the average CPC of $1.50 with industry average benchmarks will likely see a return on investment with customer lifetime values over $55. Businesses that use professional PPC management services typically see better account performance and a higher return on investment. Hibu offers professional PPC management services with an unheard of $0 management fee. Businesses new to AdWords or existing novice users without excess funds available for management fees would benefit from using Hibu. Very educational, straight forward, no nonsense, well written and illustrated article. Glad you enjoyed it, and thanks for the comment! Awesome job, your every detailed and all of the steps are broken down simply, and exact, as if having a conversation with your audience, it’s very insightful, educating and best of all anyone reading will get the full understanding of how to do what is that’s being discribed, your very talented, I was completely amazed at how you were able to lay it all out so easily, it truely benefited me in a lot of ways, in sure that anyone reading your blog will gain an instant understanding of google AdWords and the best ways to accomplish their task of being successful in more visitors into paying customers, with this information set forth so perfectly, I was able to truely and easily grasp the ways of AdWords, I am very grateful to have encountered this blog and such an exceptionally talented writer, along with being very beautiful, your super talented in an exceptional way, awesome, well done, and if it was able to positively affect someone then it was a success, but to me more than a success, From a writer’s point of view, Thank you very much.